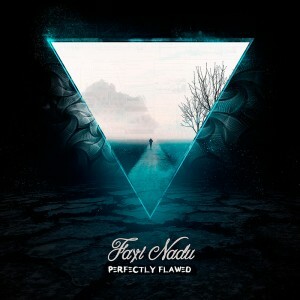 Sun Station is proud to present Perfectly Flawed, the return of Faxi Nadu. What do we have here? A melodic and hypnotic first person role playing album! You play as Faxi Nadu, a hero who is unsure if he is fighting dragons or exploring space so he does both just to make sure. This whole album is kinda strange (although one could make the case that Faxi Nadu is always kinda strange) with a lot of inspiration drawn from gaming into deep fantasy worlds. In space with Mass Effect, fighting dragons in Skyrim, and going for the glitz and glam in Yakuza. This album is a story of stories, of places, of times, of meetings, of feelings, of emotion, of the external and of the internal, and most of all this album is the story of us, from the very first to The Last of Us. Mastered by Makus at Overdream Studio, album graphics by Fernando Abreu. MP3 Download | FLAC Download | WAV Download · Download count: 9,700. Great album, nice work Faxi Nadu! Nice and trance-y, good stuff. Amazing thing is, listening to 140+ track and that feels like it’s on 110 or something, so organic flow, spacious, there’s no angry urge, just cohesive flow, pure sound synergy, blast of energy trough space and time. What can I say more, thanks for great ride, for making me remember once again what this music is all about, but thanks for being you, for sticking out despite of everything, for letting me be part of your world in yet another occasion. Daboom datgood!! many many gooddaboom to you faxi nadu! many thanks! Le cocktail goa/morning et la touche personnelle de l’artiste font de cet album un best of !